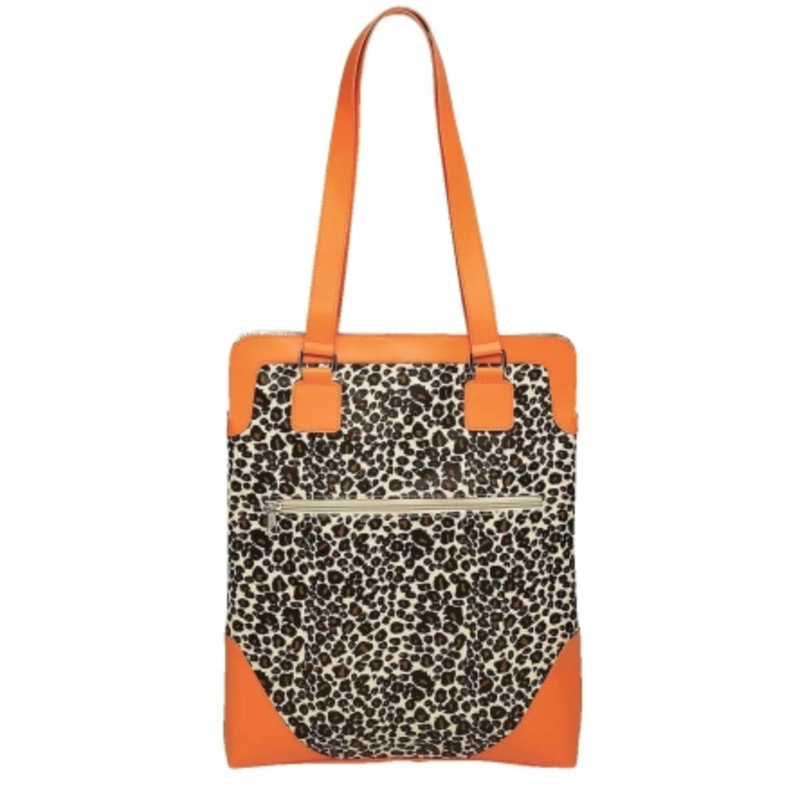 Perfect everyday tote, the Le Tote in Leopard in animal print has an incredible advantage because it is insulated. The fabric is beautiful and durable, so this tote will be with you for a long time. The straps are long enough to go over your shoulder. Carry your lunch everyday along with all your other necessities and it is cool at noon, or whenever you are hungry. Even better, use this bag to keep your groceries cool while you shop, carry cool stuff to the weekend home, or even carry everything you need for a picnic. Straps long enough to carry over your shoulder.